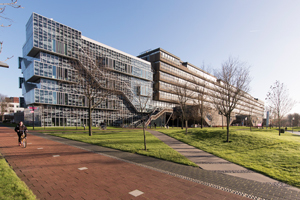 Xu is a PhD-student at the Civil Engineering & Geosciences (CEG) faculty of TU Delft. “Any result we can achieve here in our Microlab, we might actually see in the real world someday.” At this lab, scientist experiment on concrete with cutting edge techniques that have the potential to scale up to solutions years in the future. As the global need for housing and infrastructure increases, concrete construction needs to be cheaper, easier and more sustainable. Simply put: we need better homes, bridges and dams, and we need to build them in ways that are safer and less environmentally taxing than ever before. “If we could use 3D printing for concrete construction, we would need less labour.”, says Yading. 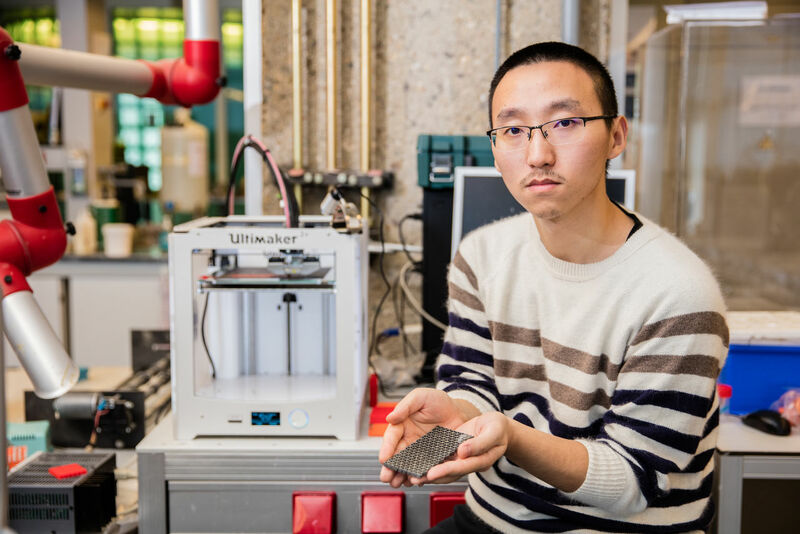 “It would also improve quality control, optimize standardization of construction processes, enable more intricate concrete structures and produce far less waste materials.” He’s currently trying to tackle this challenge from two angles. Printing with the concrete itself and printing the support structures needed for concrete casting. 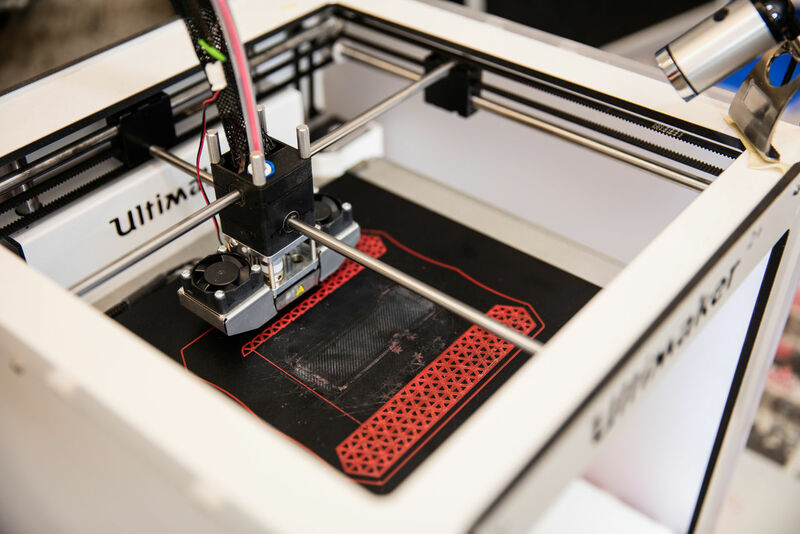 Which shape and concrete mix lend themselves best for printing? The small concrete object in Yading’s hands has several cracks through it. This is on purpose, because Yading prepared it in order to break it. While it can handle immense loads, concrete has weak tensile strength. This means it cracks and breaks relatively easily when pulled apart. 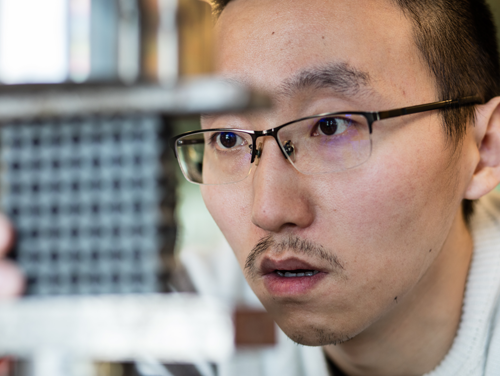 One of Yading’s goals is to research what models predicted the best fracture behavior of printed concrete miniature structures. It’s an incremental process that requires patience and an eye for detail. He first calculates the models digitally, then uses a specially modified 3D printing technique that can handle the concrete mixture to prepare these meshes. Next step: pull it apart and monitor exactly where and when it starts to crack. Finally, back to the drawing board he goes, updating his models and preparing for the next print. Xu’s second angle is printing the reinforcements and moulds for ‘old school’ casting. Any major building project that uses concrete also uses tons of reinforcement. This is usually made of expensive steel that helps the concrete deal with forces pulling at the structure. Steel is of course corrosive and requires regular maintenance to retain its supporting function. Producing steel also requires a lot of energy. 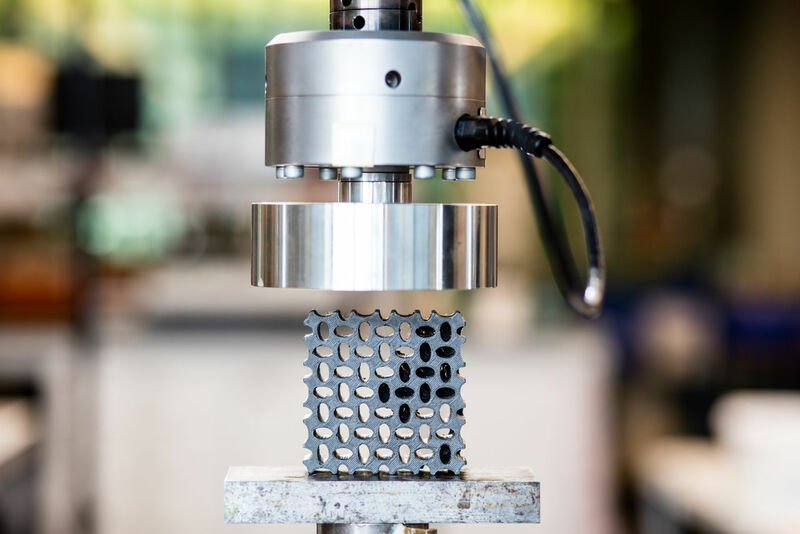 Currently, the shapes we can make with concrete are limited by how we can optimize steel reinforcement design and how complex we can make the moulds. What if we could 3D-print reinforcements and moulds for concrete? You could build houses with more natural flowing lines for instance, or produce concrete structures as with complex cross-sections exactly where the they’re needed to handle forces, instead of huge heavy blocks. Yading: “We’re experimenting with printing reinforcements out of commercial plastics called ABS, which matches well with concrete. These materials have their own strengths and weaknesses, so they’re not some magical solution. But we could easily make quick improvements to reinforcement design, or model and print more intricate reinforcement which in turn would enable more variety in constructions. Printing would make reinforcements easier to produce in mass with optimal shapes, minimal changes and flaws.” Moulds for casting are often hand build, either especially for a certain project, or to standard measurements but with simple shapes, like cubic blocks for instance. If we could 3D-print them, each concurrent mould could come out with specialized shapes or microstructures. You could print them on-site, speeding up construction time.